Rate this Article Racing games are a lot of fun and there is so much you can do in them, but in this article we will bring you 5 reasons we really like them. Many people like to take a chance on a horse race, whether it’s a bet or playing a game and running your own horses in competition The fact that these games give you the opportunity to do that and much more is one that make them very attractive to a lot of people and why they have such a huge following all over the world. There are millions of players that take part in a racing game, whether it’s just for a quick check in the evening or taken more seriously where you are trying to top the leagues there is something waiting for you to do and enjoy. What we have compiled here is some of the best reasons to look into a racing game, even if you never played one before or are an old hand these are the things that really stand out and make such games so engaging and really exciting to play. And that’s the first one, the excitement. Seeing a horse you own come first in a major competition is thrilling, knowing your work has paid off and winning that trophy is a great feeling. In many different titles you can see the races live, and sometimes even use the tactics and make decisions during the races that can give you the edge you need. There is no doubt that these races can really get the adrenaline flowing. You also get to use your brain in these games too, picking the right horses, what you do with them and the in race tactics often need a bit of thought and planning. Finding the right combination is brilliant and seeing the patterns form or doing your research can give you that extra length you need. There is also a lot of experimentation to be done, with jockeys, tack and the right training all being important tools that you use for your horses. That amount of control is another feature we really like, knowing that you can see the food, training and medical care your horse is getting. Being well informed gives you the greatest opportunity to win. 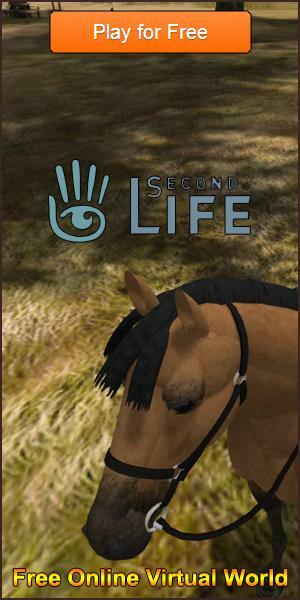 But you can also control other aspects of your horse's development and everything that you do can have an impact on their performance, the detail in some games is simply staggering. In many games you also have the opportunity to bet on the outcome of the races, either with your own horses or just on those running. These bets often use the in game currency and so you don’t stand to lose anything in real life. Betting like this is fun especially if you are winning lots along the way. You can play the long shots and hope or take a really good look into the different horses, their track records and current state too all blending into the perfect bet for you. But lets be honest, the best thing about these games is the winning. From your first race as a novice to that final global title that you can call your own, and there are games where you compete against people all over the world. Knowing that your skill takes you to the top is amazing and seeing those ribbons, trophies and prizes roll in is brilliant. It can’t be described this feeling, but it is one that we hope you will feel often. And this is some of the reasons that we feel horse racing games are brilliant, but we are sure that there are more that you have for enjoying these games. Racing is fun and we hope that you enjoy one of several of our games as we try to bring you the best games that we can find.